Candice’s study investigated the challenges facing the adoption of sustainable forest management (SFM) and forest certification in China. To achieve this goal, she examined the perceptions of four influential direct and indirect stakeholders to reveal their awareness, understanding, interest, motivation, and barriers to adopting SFM and forest certification. 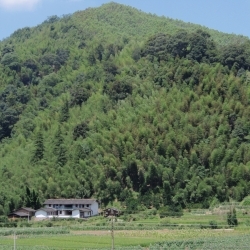 The four stakeholders consisted of Chinese small-scale forest farmers who have received small forest land from the collectives through the new forest tenure reforms; Chinese market officials working for forestry property markets; Chinese wood products manufacturers; and Canadian wood products retailers. In addition, she assessed the new forest tenure reforms and forestry property markets in terms of their impacts on the promotion of SFM and forest certification in China. China’s forests and forest sector have received national and international attention throughout the last decade. Domestically, there have been significant changes in forest tenure, with the transfer of collectively-owned forests to individual farmers. 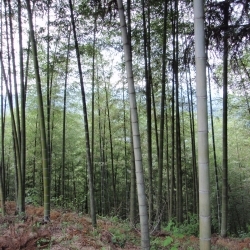 Internationally, the global economic crisis affected China and had substantial impacts on China’s forest sector, particularly for those forest product companies targeting foreign markets. The increasing awareness of forest degradation and climate change together with the advocacy for the worldwide sustainability of forest management have brought China and China’s forest sector to the centre of global environmental efforts. As a result, there has been increasing attention devoted to the implications of sustainable forest management (SFM) and forest certification for China’s forest sector and the possibilities of successfully implementing both. Within China, the results and findings presented in the study will help inform future decision-making in all areas of China’s forest sector. For the small-scale forest farmers in the forest-dependent regions, the study has helped to identify their needs, genuine interests and barriers to the adoption of SFM and certification, and has thereby helped them to be aware of the potential benefits associated with SFM and forest certification. For market officials, the results provide insights about the real needs and interests of forest farmers and, as a result will help them to provide better services as well as facilitating more appropriate and pragmatic mechanisms that reflect the local individual circumstances and capabilities. For Chinese wood products manufacturers, the study may be of interest because the survey of Canadian wood products retailers provides an interesting prediction on the future potential market demand on certified wood products and therefore could assist them in making informed decisions about forest certification. In a broader context, the results and findings obtained from this study will be instructive for the rest of the world, particularly for those undergoing economic transition and/or attempting to make such a transition. Similar methodologies and techniques could be adopted in these places.